Por primera vez en la historia de este foro, me gustaría compartir con ustedes el proceso de compilar el código fuente de HFS, de la manera más simple posible para que cualquiera de ustedes pueda realizarlo sin problemas. Se recomienda previamente ver ESTE video tutorial (en formato GIF animado, de 1,56 MB que también puedes descargar de aquí), para poder previsualizar en apenas 5 minutos todo el proceso completo. Luego puedes seguir las instrucciones que dejo a continuación. 1] Descarga el 'Portable Turbo Delphi Lite v1.0d', de aquí. 2] Descarga el 'Paquete de componentes' requeridos HFS, de aquí. 3] Descarga el 'Código fuente' de la última versión de HFS, de aquí. 7] Inicia Turbo Delphi abriendo "TDrun.exe" o utilizando el acceso directo del escritorio. 8] Ve al menú 'Tools' y haz click en 'Options...' y se abrirá una nueva ventana. Allí, ve a: 'Environment Options' > 'Delphi Options' > 'Library - Win32'. 9] Ahora ve al menu 'File' y haz click en 'Open Project...' y abre el archivo 'hfs.bdsproj'. 10] Luego ve al menu 'Project' y haz click en 'Options...' y se abrirá una nueva ventana. (Este paso número 10 es enteramente opcional, pero se recomienda hacerlo. Si no lo haces, encontrarás 32 o 33 advertencias ó 'Warnings' de Delphi, al momento de compilar, pero ésto no afecta en absoluto el proceso de compilación y obtendrás el mismo y funcional ejecutable. Éstas advertencias no son importantes, sino informativas). 11] Finalmente, ve al menu 'Project' y haz click en 'Build hfs' y todo se compilará. Una vez compilado, verás (en un texto en negrita): 'Done: Build All', haz click en 'OK' y habrás concluído. Si necesitas un programa para descomprimir, puedes utilizar 7-Zip. Si necesitas o deseas instalar todo en otra carpeta (para tener todo en un pendrive USB), es mejor que completes los pasos uno al seis desde las ubicaciones indicadas, y que luego antes de efectuar el paso siete, muevas toda la carpeta al dispositivo USB que quieras. De ésta manera, te aseguras de no equivocarte con las ubicaciones de carpeta. Desde luego, si eliges otra carpeta deberás cambiarla en todos los pasos, EXCEPTO que no debes modificar la ruta del paso ocho (ya que el programa auto-detectará la nueva ubicación). Siéntete libre de dejar cualquier comentario o pregunta si tienes alguna duda, y por favor reporta cualquier error o problema que encuentres al momento de compilar. Se aprecia todo tipo de comentarios, críticas constructivas, o sugerencias de cualquier tipo (tu comentario me da más ánimo para seguir publicando nuevos tutoriales). Since a long time I wanted to build HFS by my self, and recently I've found this 'Portable Turbo Delphi Lite v1.0d' here. But that's not enough, since I need all the library components listed on 'developer notes.txt' (but I've read here in various posts on the forum, that the configuration and installation of those components is not very straightforward and it's prone to give errors on compiling time). @Mars: Over the years, you have many times proposed excellent code changes and enhancements that some of them were later discarded or not used by Rejetto. That's why I would love to have your own custom modified HFS source code, since it could contain many of those interesting changes that were not included on the final version of HFS. So, Mars: would you be kind enough to share with me your the source code of HFS with the custom modifications done by you?. This is a very small file (that you could even attach in this thread), or send me a download link in a private message, if you don't want to keep it public. If you don't like to share it with me, it's OK, I will accept your answer, but please don't give me an ironic 'wait, wait and wait' response. Offtopic: Reading your template, I always wondered is a file section (in the HFS template), could store a file encoded in Base64, and that be decoded by the server on-the-fly (delivering the decoded output). I'm curious to know if this is possible using macros. Since HFS currently depends only on a primitive and weak HTTP/1.1 login system (where unless you use SSL, the password travels in clear text, encoded in Base64), I was thinking it would be nice if HFS implements a simple Two-Factor Authentication system (also known as TOTP or 2FA). This system is a time-based password algorithm (which change every 30 seconds), added on top of the current login. This way, if someone steals the user/pass, they could not get through the TOTP/2FA system (since the 2FA would prevent the access to your private account and files, even if they know the password). - How this works on the server? The server needs to generate a secret key (only once, when setting up the 2FA), and it would store that secret key (encoded in Base32) along with the user/pass (I'm always talking about the server part). At user/client level, when TOTP is enabled on HFS, it should check if the credentials (user/pass) are correct first, and then if they are valid it should ask for the 2-Factor Authentication Code. To make this work (like I've said), HFS should store (along with the username and password) the 2FA 'secret key' needed to generate the 2FA time-based codes. The rest of the work flow (at server level) can be read here. To end-users, I guess most of you know how the Two-Factor Authentication works, since Gmail already use it since several years (check out this, if have any doubts). And now that version 2.4 is on beta test (and since HFS is doing a step from v2.3 to v2.4), I think is a great time to make the server a little more secure by default. I hope Rejetto like and welcome the idea, and if anyone here could collaborate at code level to make this works on HFS, it would be great (this is only a suggestion, not a petition to add it). Thanks to danny and his idea (in this post), and after spending several hours finding a solution and doing lot of tests, I think we finally have a working workaround solution for login from mobile browsers (that it even work on desktop browsers too). 2. Extract from the zip the "hfs.diff.tpl" of the version you've choosen. 3. Copy that file (hfs.diff.tpl) to the "contact" (or whatever name you choose) folder you made on the first step. Any other enhancements/suggestions are welcome! WARNING: there is a serious security hole in the use of this script (which was solved here), that allows access to any file on the entire hard disk hosting HFS. Be sure to restrict the access of this script only to yourself. Hi there! I was reading these wiki pages (Template macros & scripting commands), trying to being able to download and save an external file to the current folder (Remote upload), but I can't get it working. The following is the recommended code by rejetto here (chinking the file every 1MB), but it doesn't work as expected (the download has a never ending loop). This code not only doesn't work, but besides that, it also have missing the text "Downloaded Core-9.0.iso for 13256704 bytes" and the event doesn't get logged on HFS's log. FHFS / FHFS: Is there going to be any update on this? @Raybob: Is there going to be any update on this? Since in the HFS.ini of FHFS v2.1.3, the updates of the internal HFS (server.dll) are not automatic (update-automatically=no), it would be great to have an updated version with the last HFS v2.3i Build #297 running out-of-the-box. There are many users out there who are still using FHFS with a built-in outdated HFS v2.3d Build #292. And since there was a VERY important security update in this last version, many users may be exposed to hackers, like recently happened here. I understand that having the automatic updates disabled is to ensure everything keeps working/compatible with the rest of the FHFS code. I also understand that you may not want (or have the time) to be updating FHFS every time a new version of HFS is out, but this time is critical to have an update (since it fixed a "Remote Command Execution" exploit). OK, I've started a new thread to keep this organized. This post started here, and the question was: How to change the HTTP response header "Server" (or any other string in the header) using Macros? 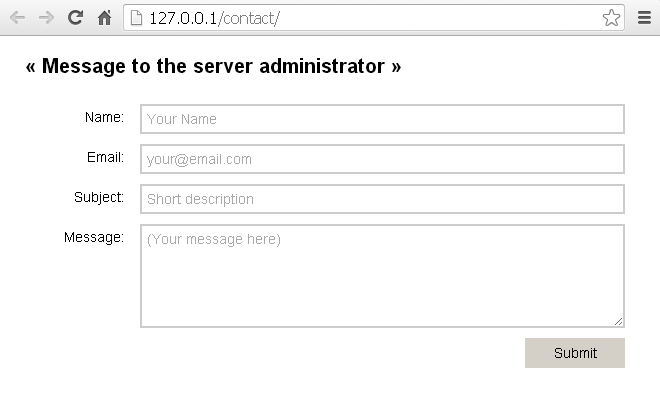 ("Server" is a string that displays the name of the server, and it shows the HFS version). If you don't know what I'm talking about, use a Download Manager that show this info (for example, I'm using FlashGet). Suggestions and examples are welcome. The other day I was uploading a bunch of files to my server, and it was unable to upload a MD5 file. This doesn't have anything to do with the 'fingerprints' feature of HFS, since I have that option disabled (or at least it should not interfere with it). I've tried renaming the .md5 file to .txt, and HFS uploaded the file successfully. But having the .md5 extension, give the following error: "File name or extension forbidden.". This doesn't happen with any other checksum files (like .sha1, for example). 1) Enable the 'Upload' feature to some real folder. 2) Using any browser (using the web interface), try to upload a ".md5" file to the server. 00:28:29 192.168.0.101:1761 Upload failed for Test.md5: File name or extension forbidden. I'm almost sure this bug/error has to be related to the 'fingerprints' feature. I can provide more details if you need them. To me, uploading .md5 files is important. > EDIT: The "solution" for this, it's here. Thank you Rejetto. Everything else / How to tell if an OpenVPN Client runs on a router? > How to tell if an OpenVPN Client runs on a router? Why I'm asking this weird question? Because my VPN provider doesn't like that their VPN service be used from a Router (mainly, to avoid misuse, and to avoid abuse by sharing the service with others). Not my case. I DO NOT want to do this to "circumvent" their terms in ANY way, because I would like to use the router ONLY to make the configuration easier on my devices (I mean, only have to configure the router, and not every single device). Of course, to make happy my VPN provider, I'll connect ONLY ONE device at a time to that router (after all, my speed connection doesn't allow me to use more than that, since it's a wireless connection). 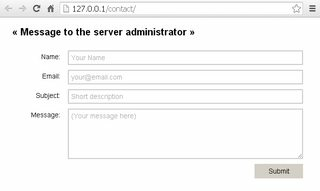 Remote URL upload: Upload files from remote servers directly to your HFS server. Again, this is only a suggestion, not a request. There is no pressure at all, not obligation or whatever. My only wish is to put my "two cents" in this proyect, at least giving ideas. In case you add this, it will be usefull to have an option to know the free space available in the server (or set a limit). Hope you like it!